Load up your family, camping gear, and a dirt bike or ATV, and let this XLR Boost toy hauler be your home away from home! 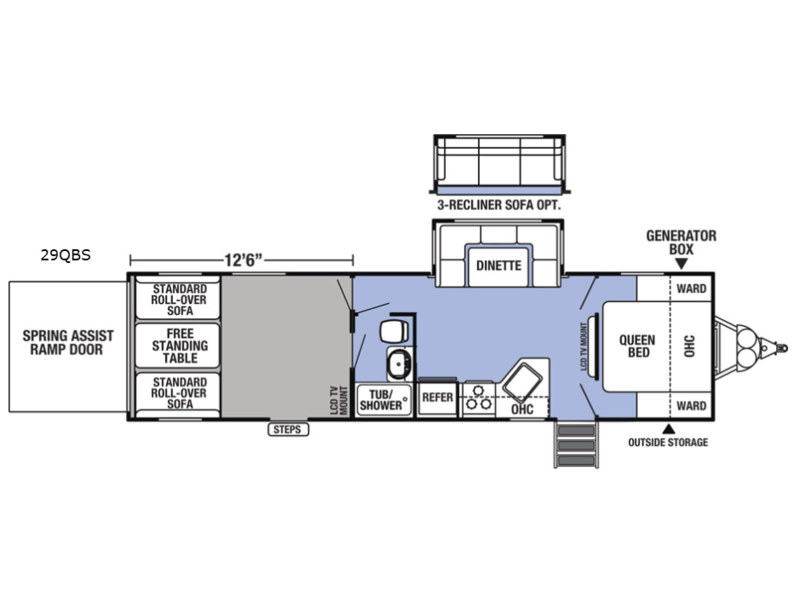 In this single-slide toy hauler by Forest River, you'll find plenty of space and amenities to really enjoy every journey. The two entry doors allow you to either enter the cargo area or the front of this unit, and you can easily load up your off-road toys with the spring assist ramp door in the back. Once you have reached your destination and your gear is unloaded, you can set up the standard roll-over sofas for added seating space. With the free-standing table in between these sofas, you have the perfect spot to sit down together for a hearty dinner each night. 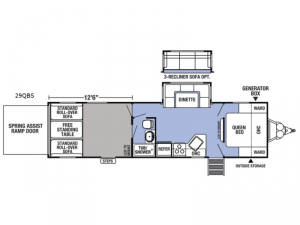 Take one of these 102" wide-body XLR Boost toy haulers by Forest River RV with you on your next expedition and travel worry free thanks to the enclosed underbelly and tanks. The entire Boost lineup can fit most of today's favorite toys, including side-by-sides, four wheelers, and motorcycles, and with the 30 gallon external fuel cell with pump, you will be able to enjoy riding those toys all weekend long. Also, the hot and cold outdoor shower will be helpful for rinsing off the mud from your dirt bike or washing off your dog's paws after an afternoon trek into the woods.